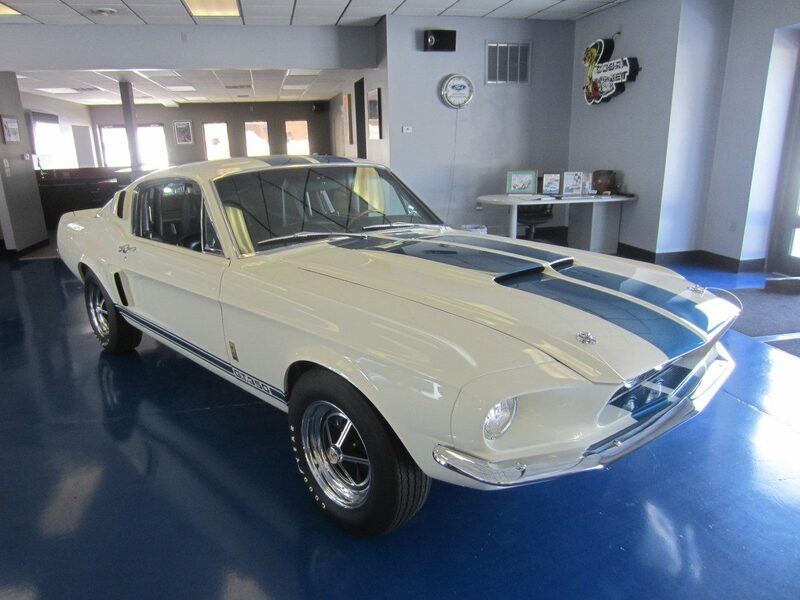 This 1967 Shelby GT-350 was shipped new to Gotham Ford in New York. This Wimbledon white Shelby retains its original fiberglass sheet metal and drive train. This is also a very rare factory AC car. This Shelby was restored at Conover Racing and Restoration and won a silver award at a National SAAC Convention. Listed in the Shelby registry as 1,308.